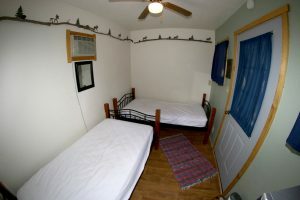 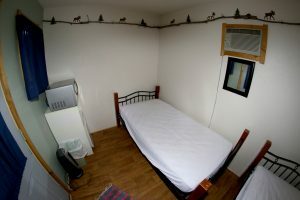 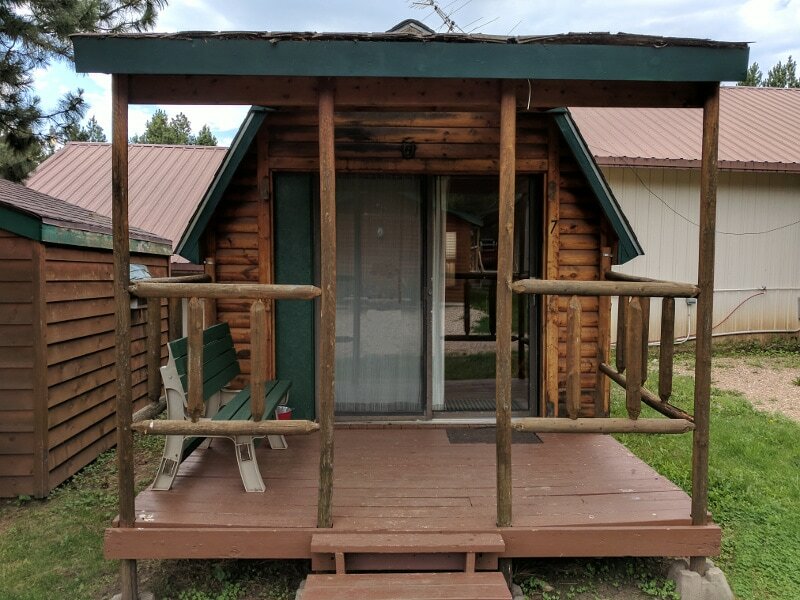 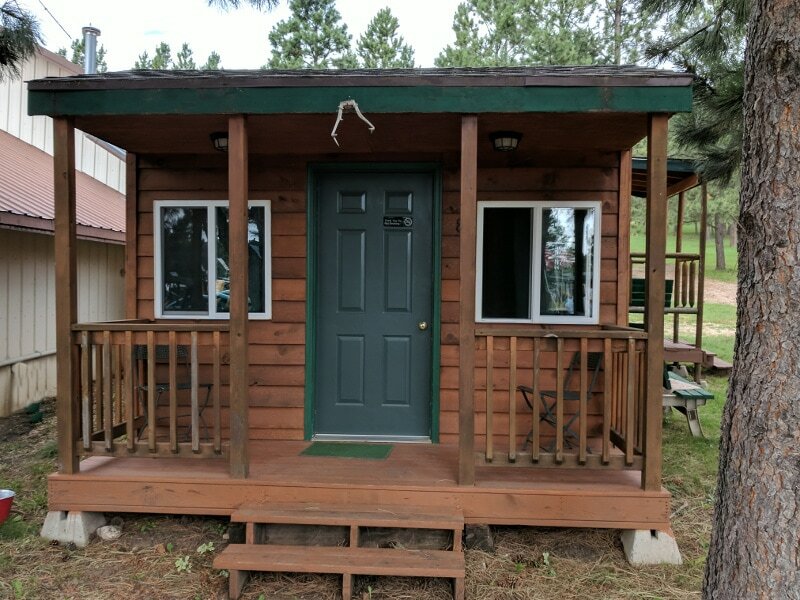 Being closer to the beer garden and Camp-Office, this cabin is near all the fun! 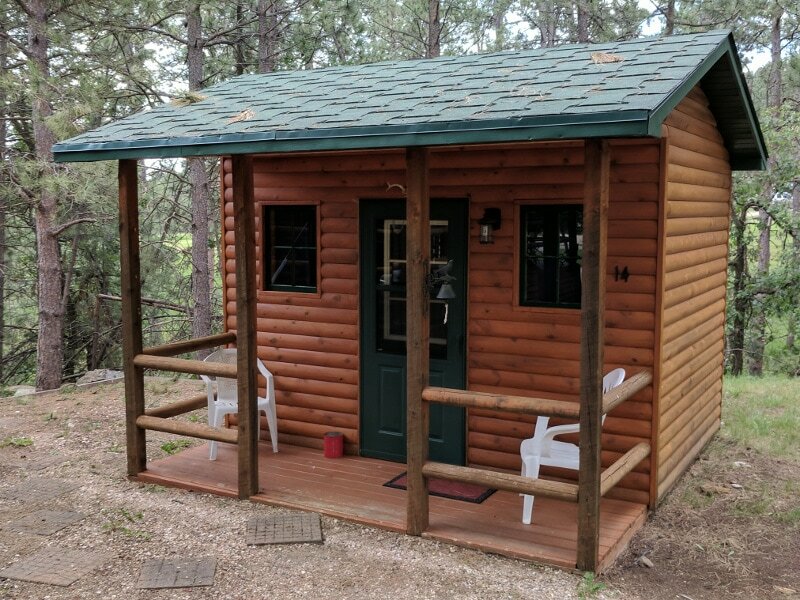 It’s the perfect spot for a couple wanting to be close to the action and transportation plus being that we are a quiet park you won’t have to worry about late night noise! 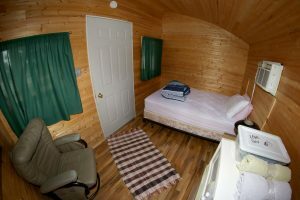 Comes complete with 1 full bed, air conditioner, refrigerator, microwave and big porch overseeing all the action! 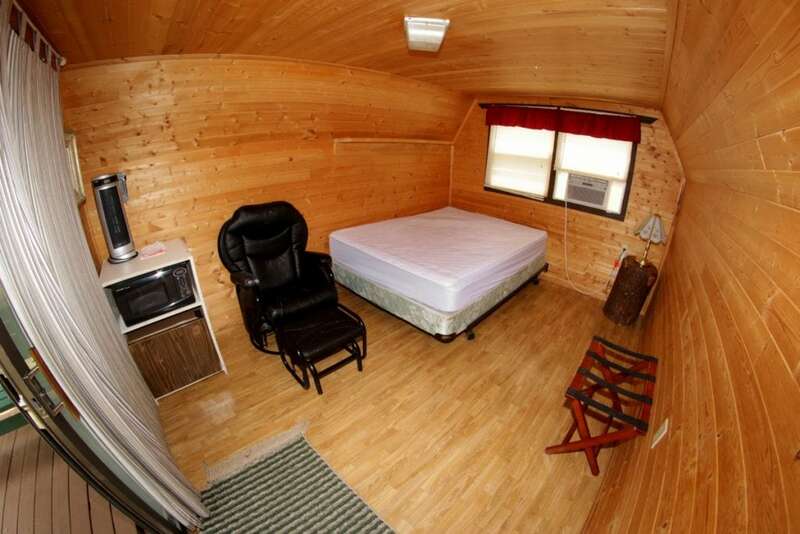 This cozy cabin is comfortable, affordable and sleeps two with ease!